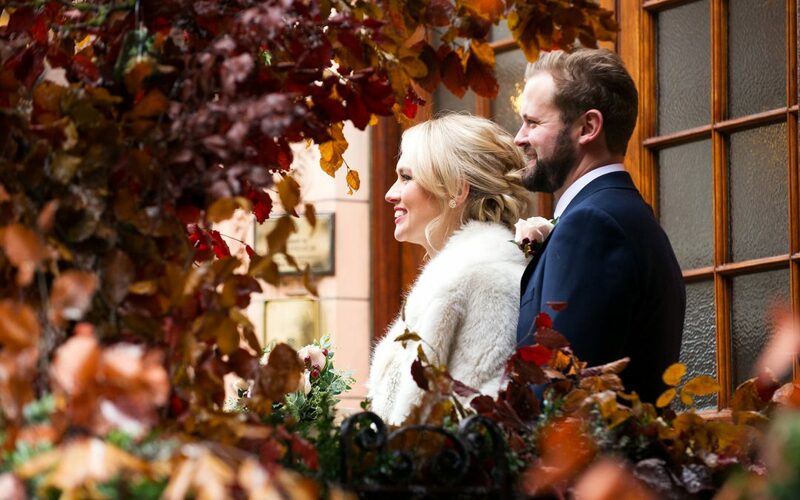 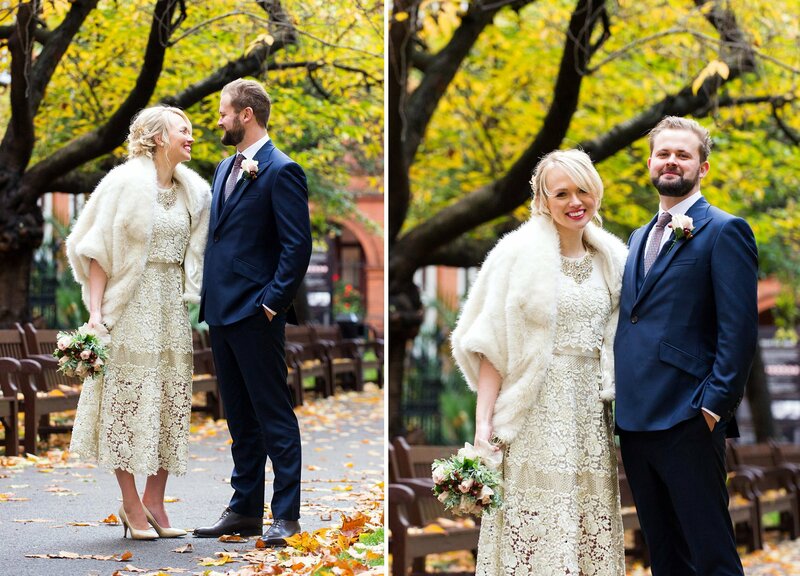 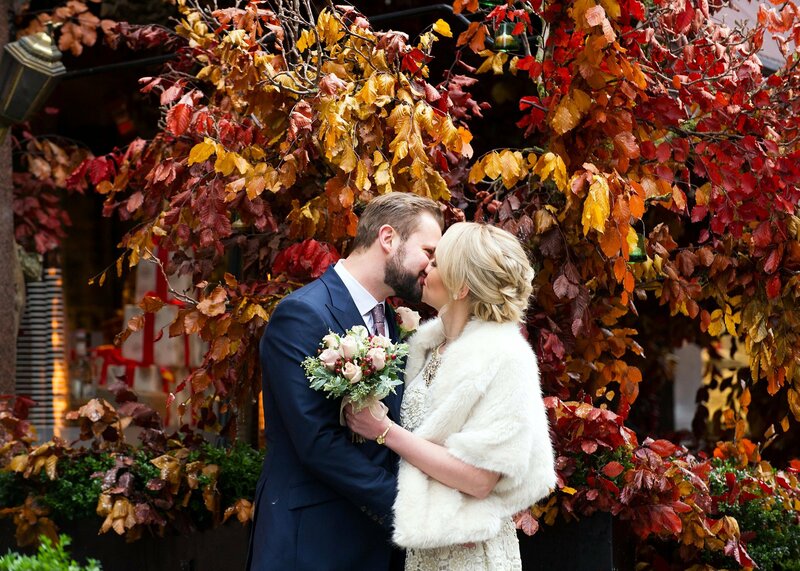 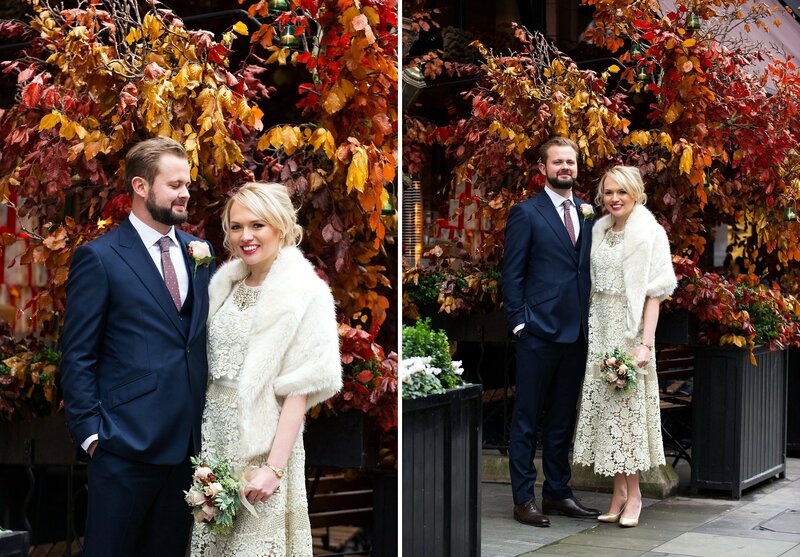 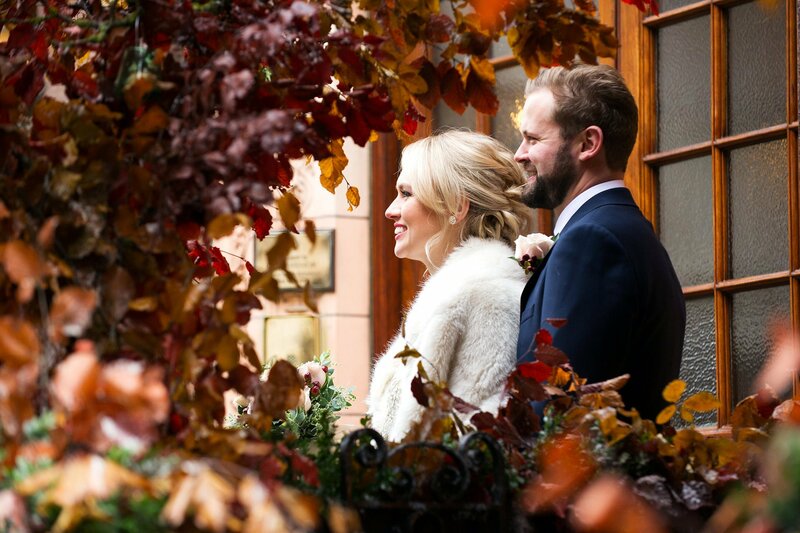 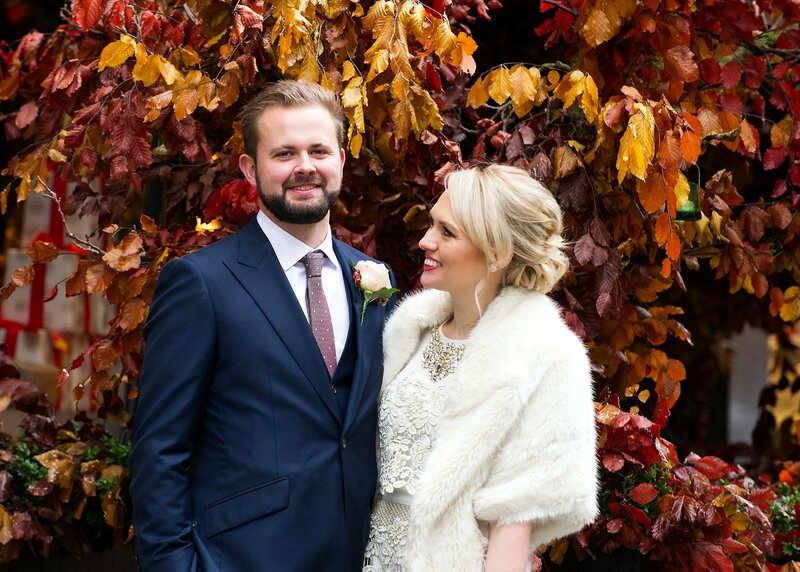 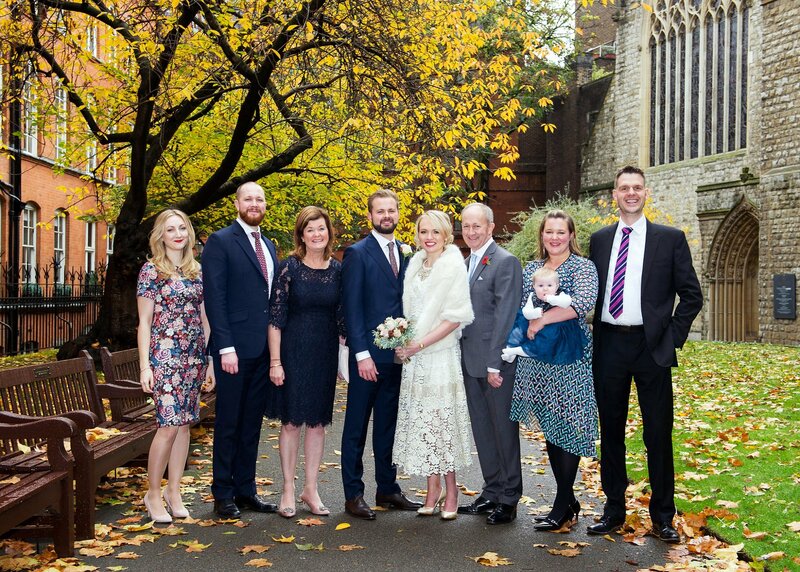 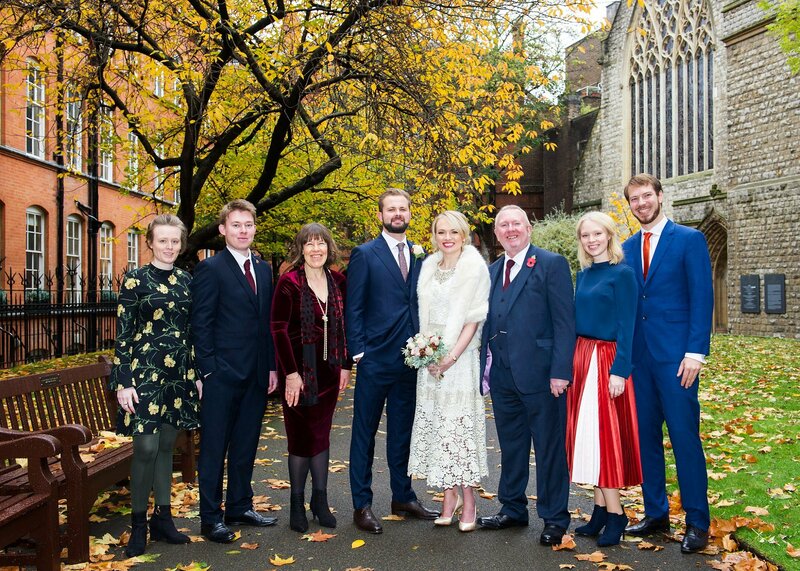 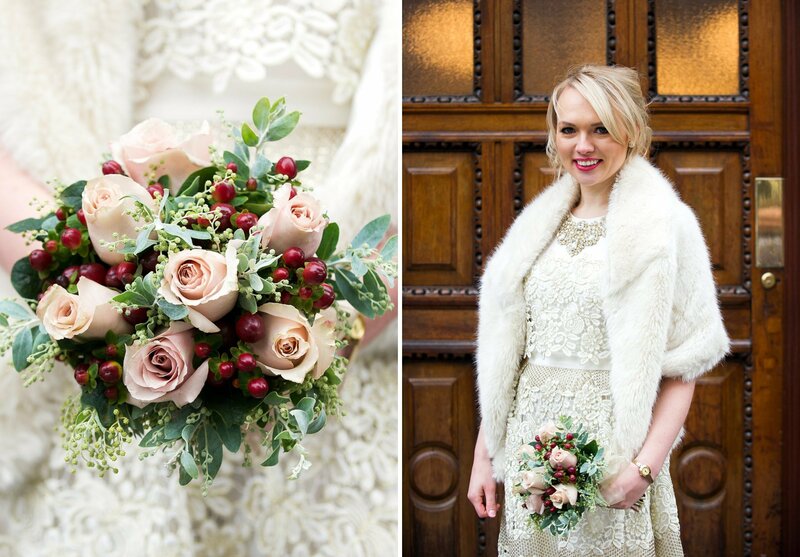 Jenny and Will’s Mayfair Wedding Bocca di Lupo Reception in November had wonderful Autumnal colours. 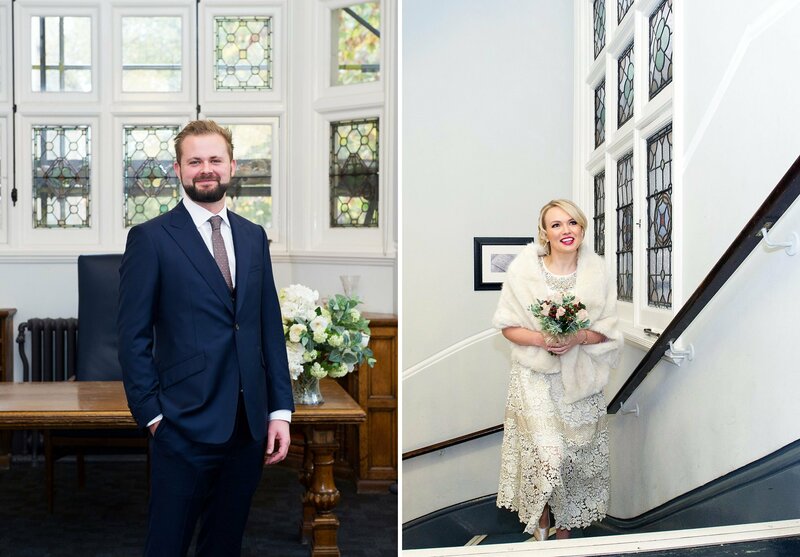 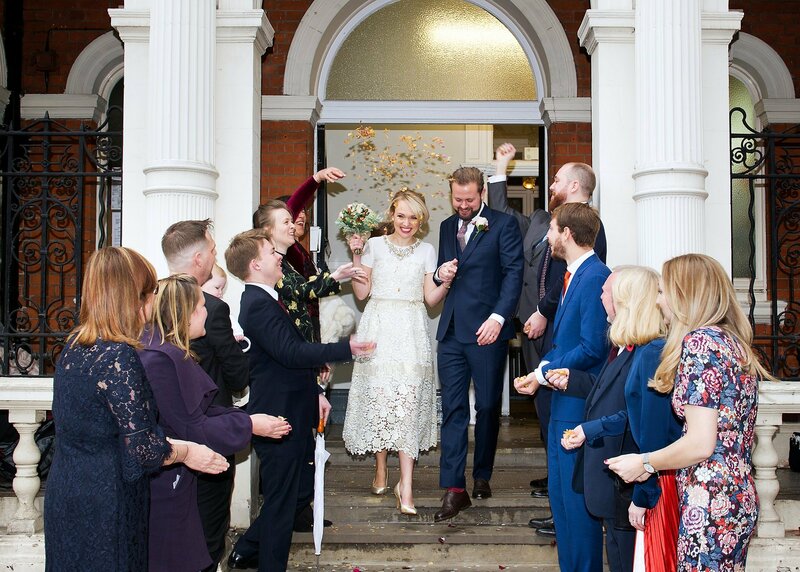 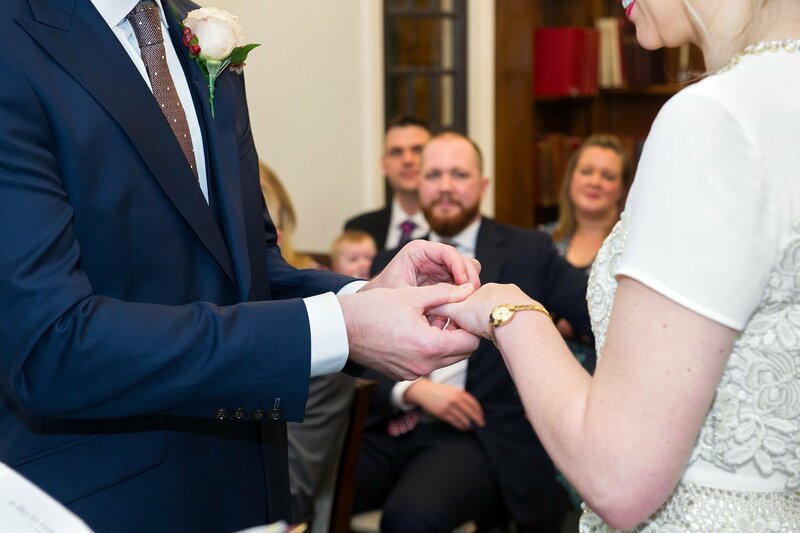 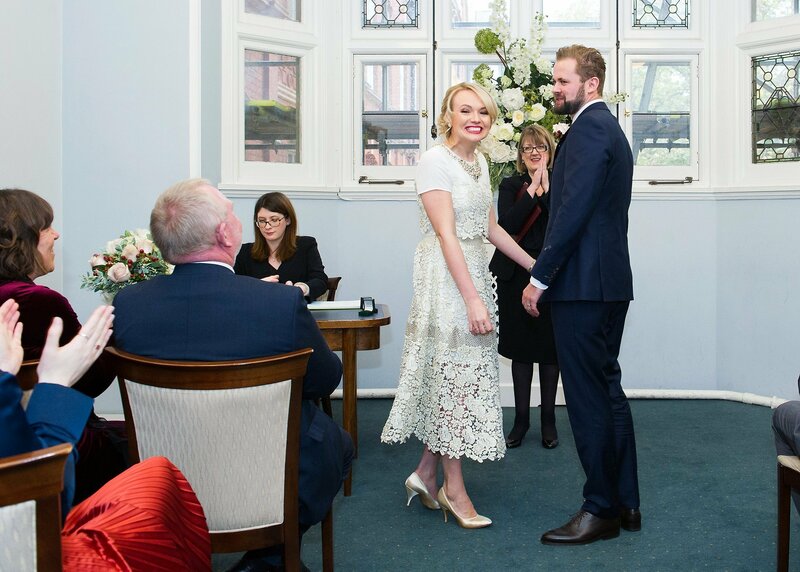 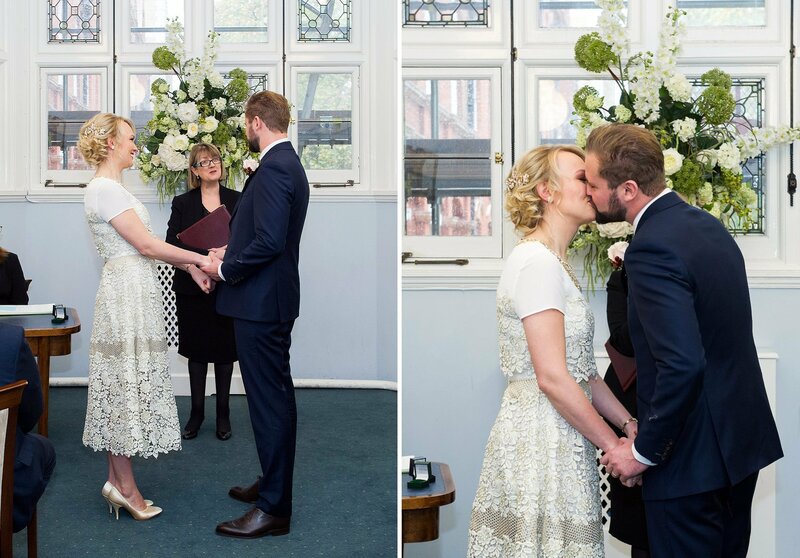 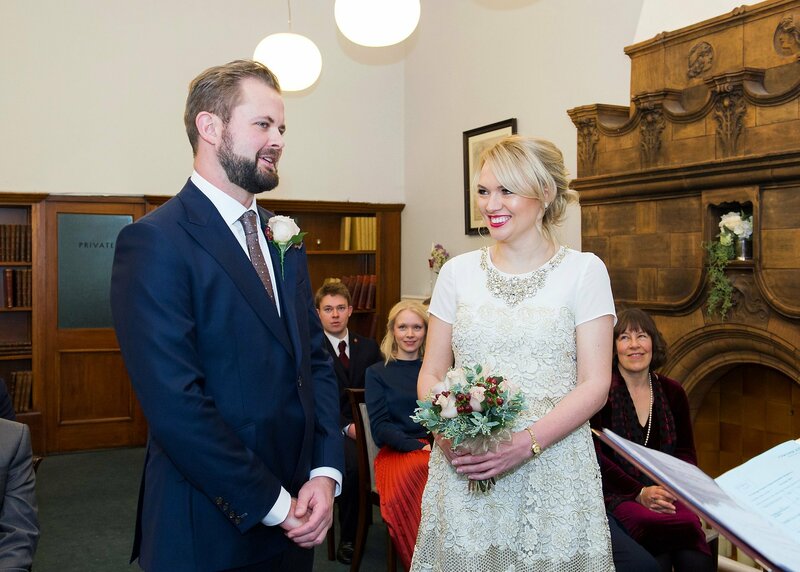 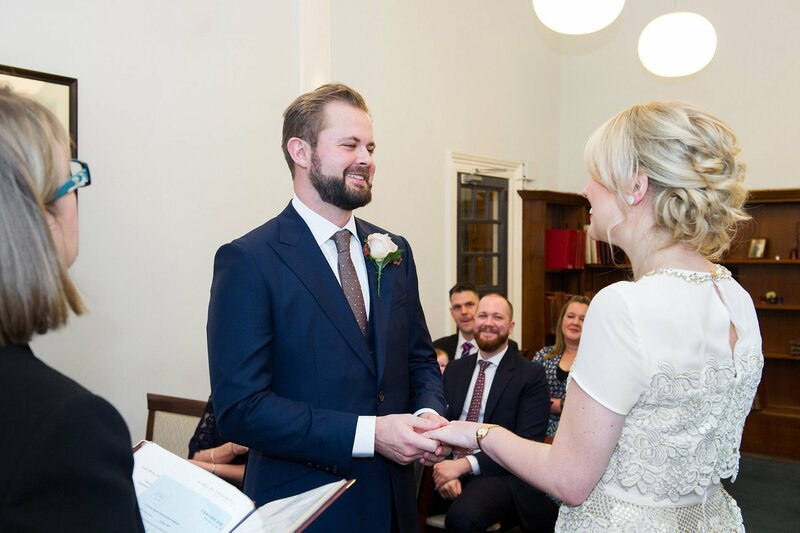 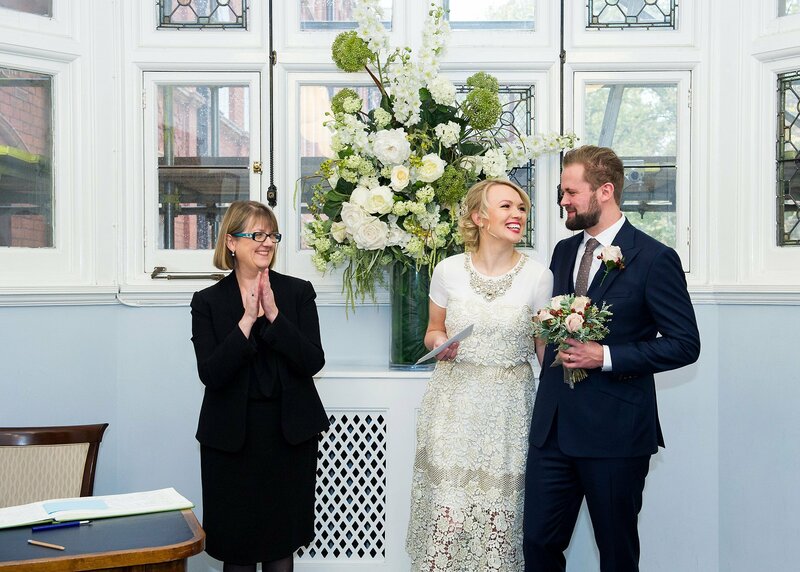 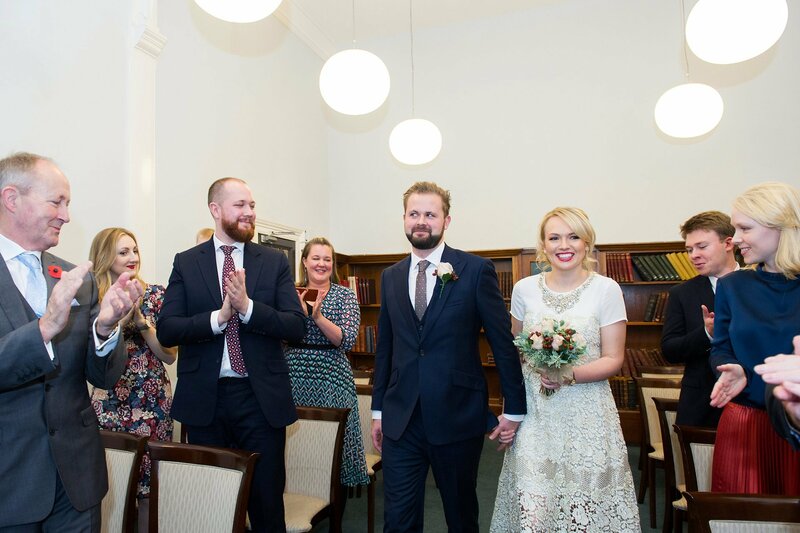 They had invited their parents, siblings and their families to an intimate civil ceremony at Mayfair Library in Westminster. 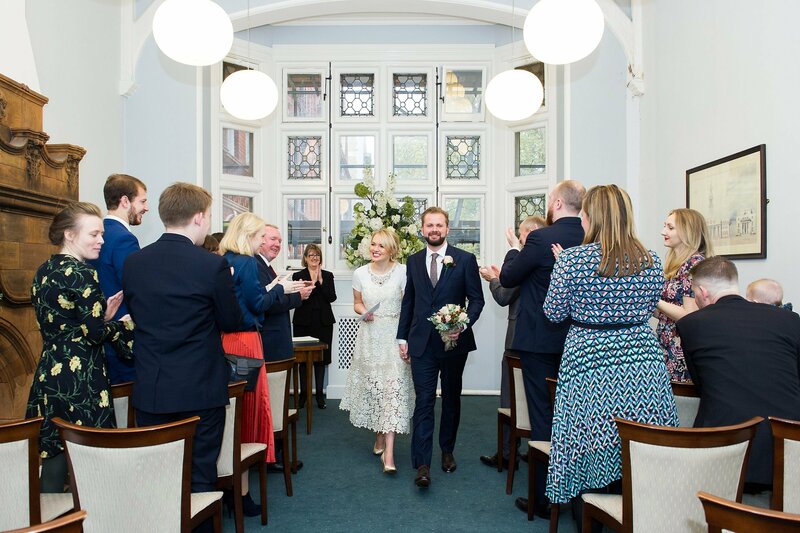 In total there were 13 guests which was an ideal number for the smaller Marylebone Room at Westminster Register Office. 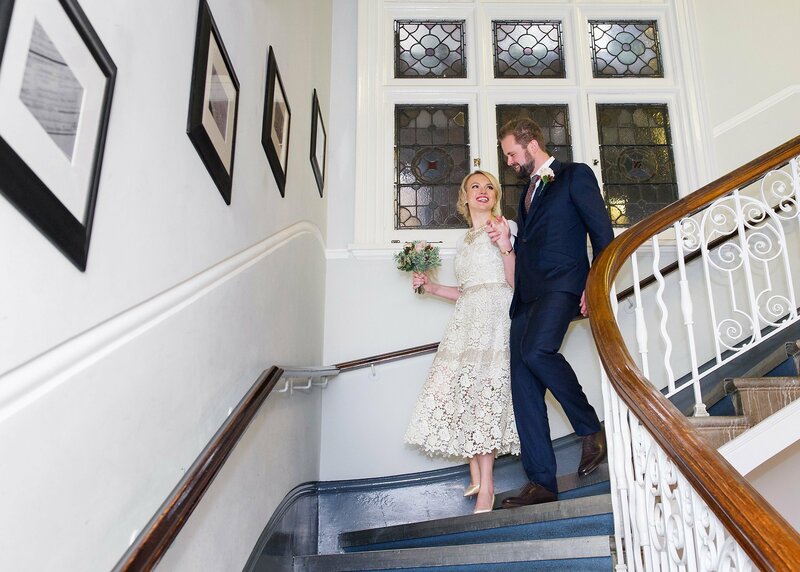 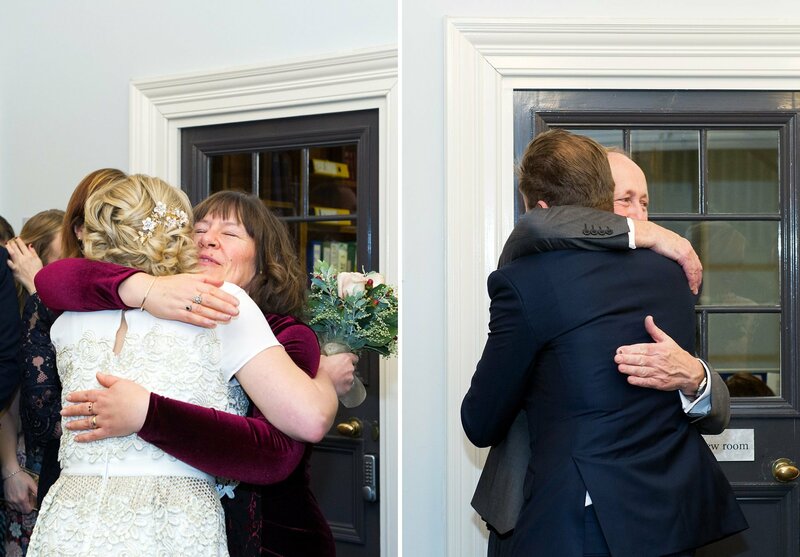 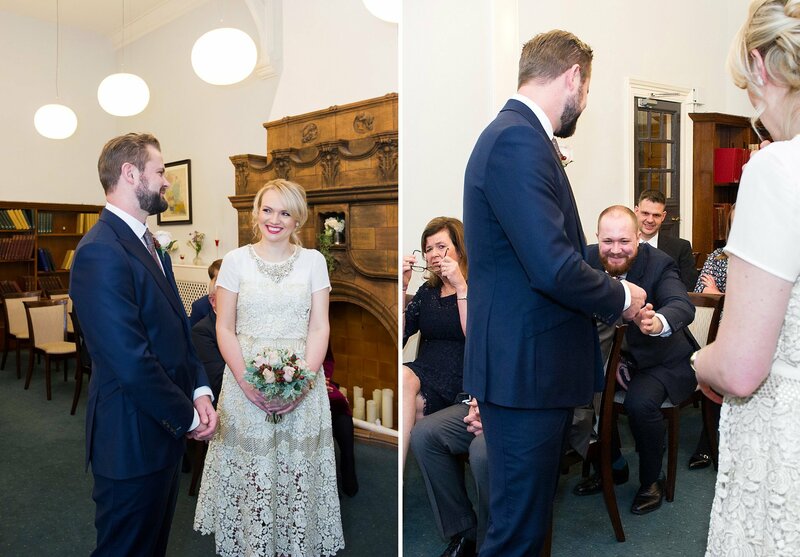 Will wore a navy suit and Jenny looked stunning in an antique-style vintage lace dress, gold court shoes and a wonderful berry filled, rose bouquet. 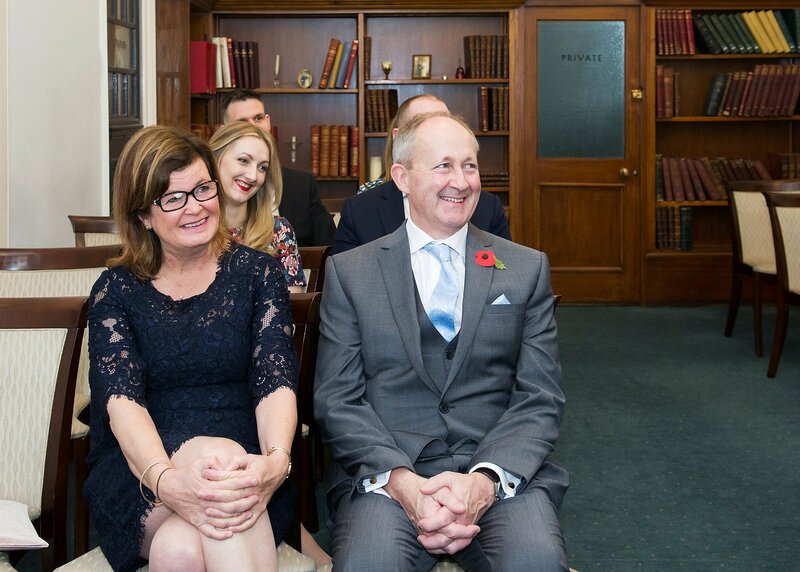 There was plenty of laughter as everyone arrived and met the superintendent registrar of Westminster Register Office, Alison Cathcart. 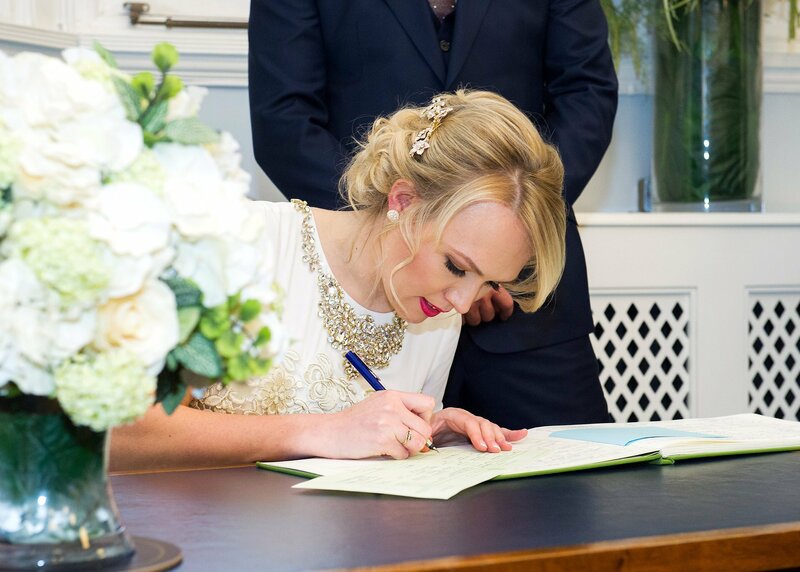 She is well-known for registering the births of the Duke and Duchess of Cambridge’s two children, Prince George and Princess Charlotte. 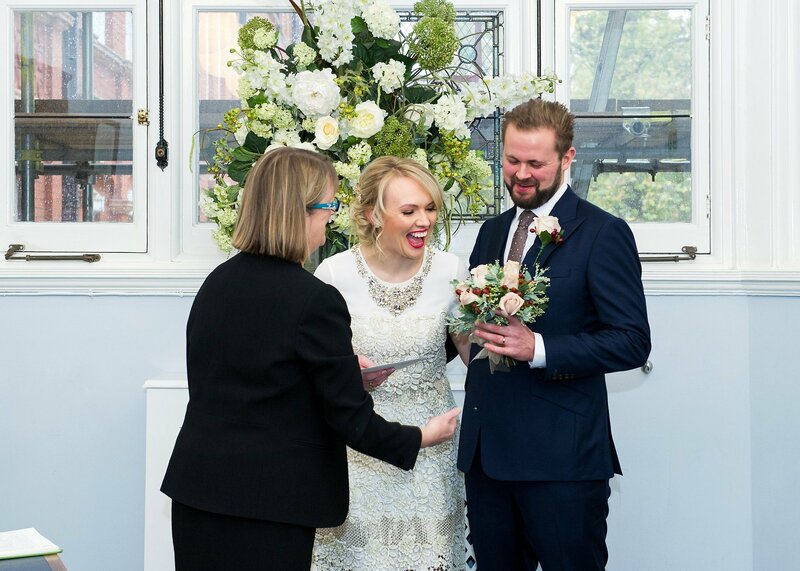 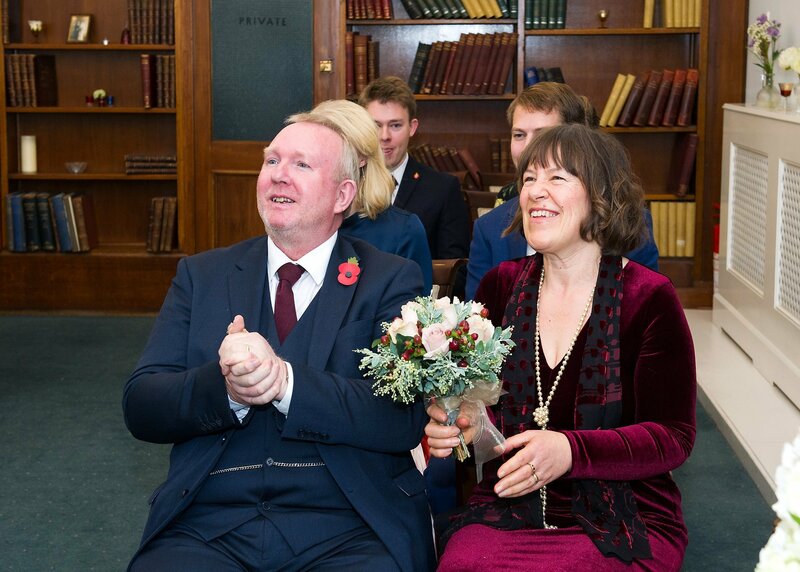 The ceremony was full of laughter, especially at the end when Alison gave the marriage licence to Jenny and the flowers to Will. 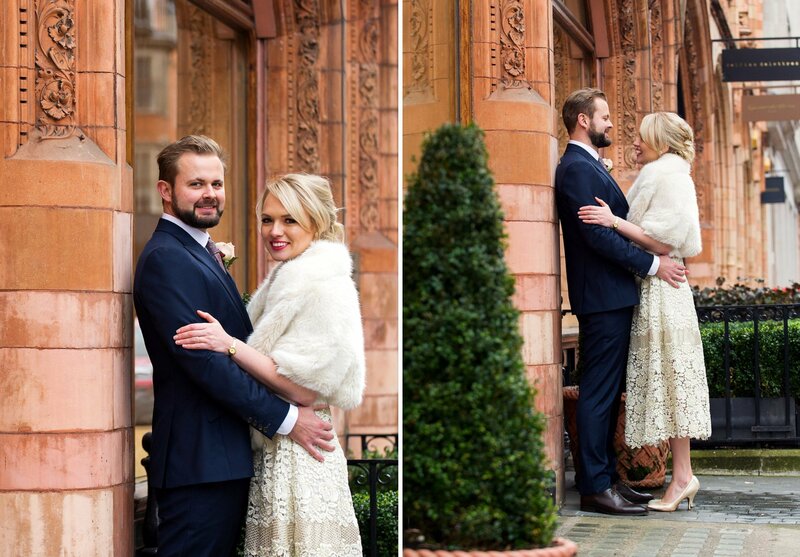 Although it was a little gloomy and wet underfoot outside it wasn’t cold. 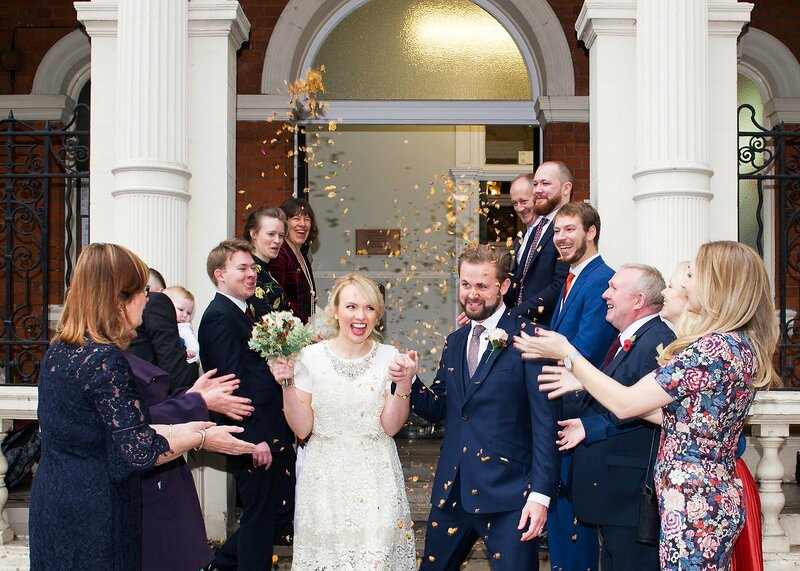 So confetti on the Library steps followed by group photos in next door Mount Street Gardens worked really well. 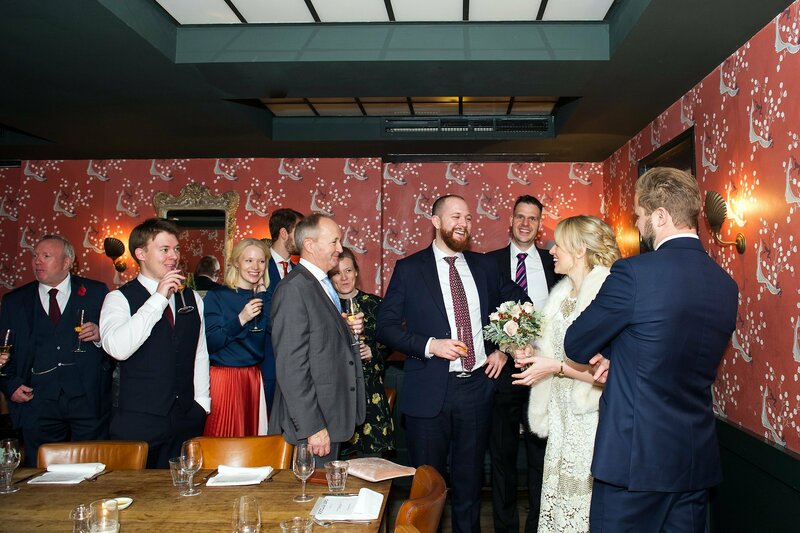 It also meant that everyone was heading in the right direction for their lunch venue, Bocca di Lupo, in Soho. 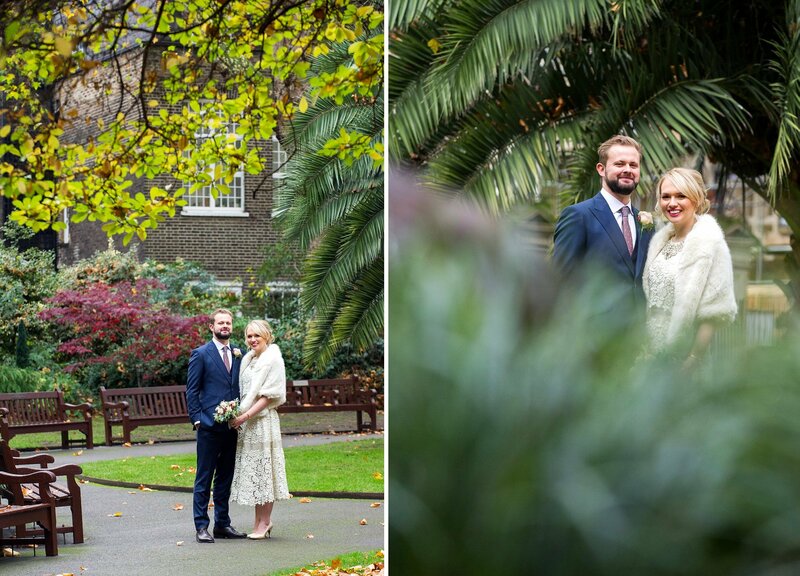 Jenny and Will stayed behind for a few photos in the Gardens and on Mount Street itself and then we all climbed into a taxi to go to the restaurant. 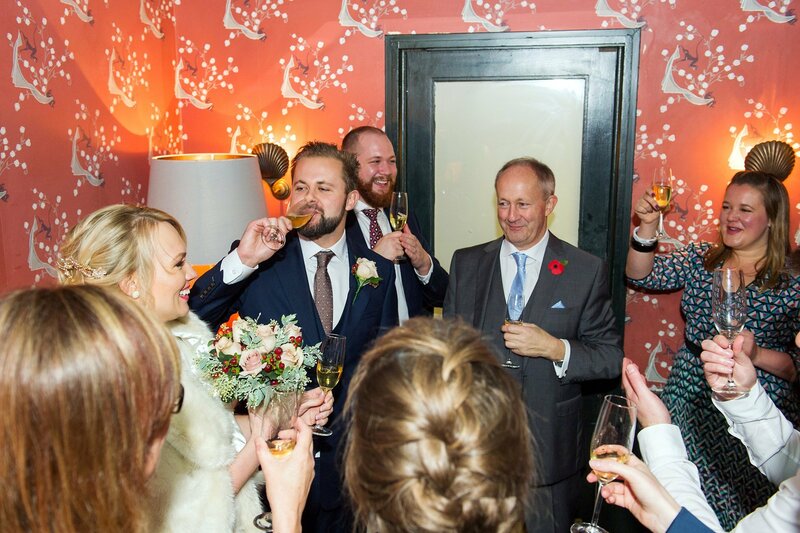 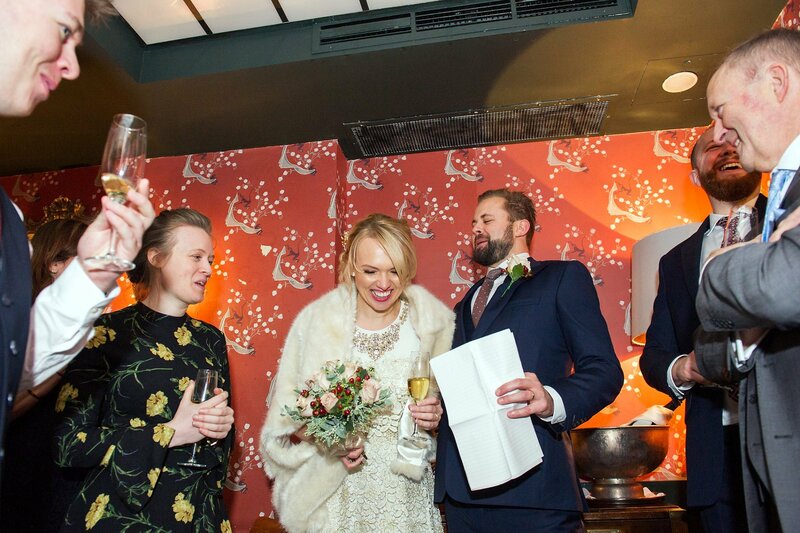 Champagne and speeches in the restaurant’s private dining room downstairs were followed by a stunning wooden platter of antipasti that filled the entire length of the table. 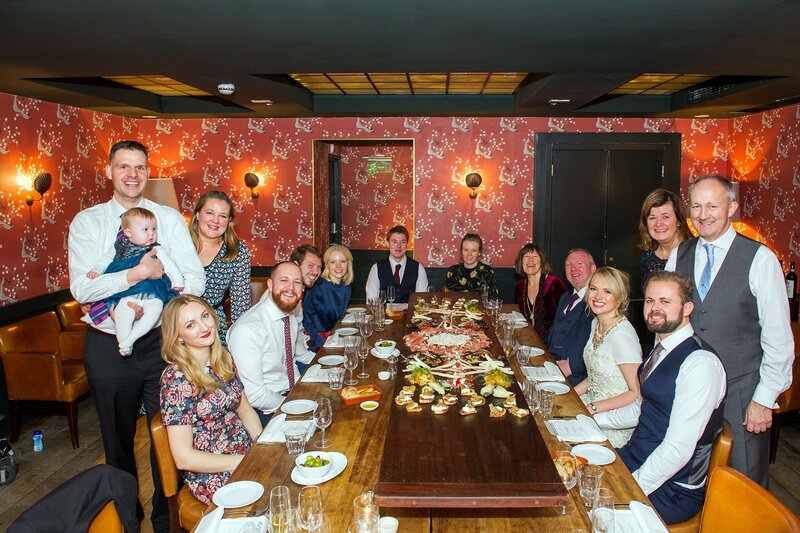 I took one last shot of everyone before leaving them to their authentic Italian feast. 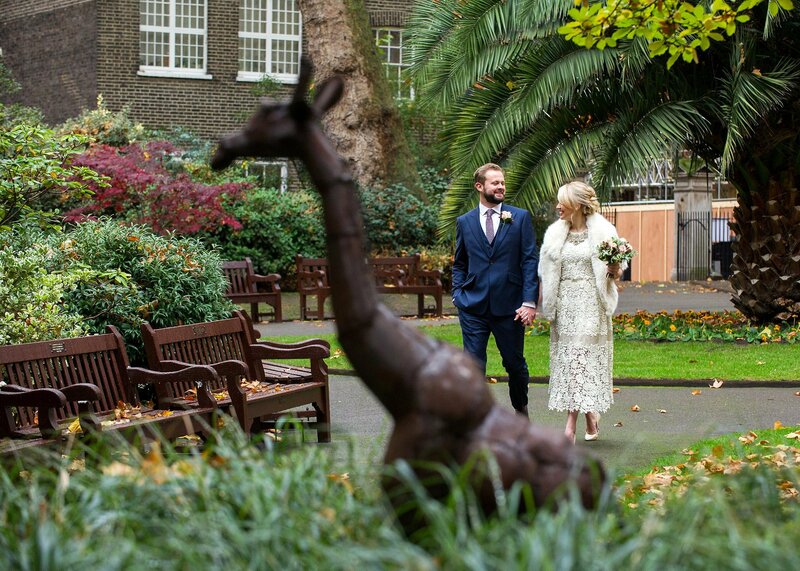 Jenny and Will left for a honeymoon in Africa later that night. 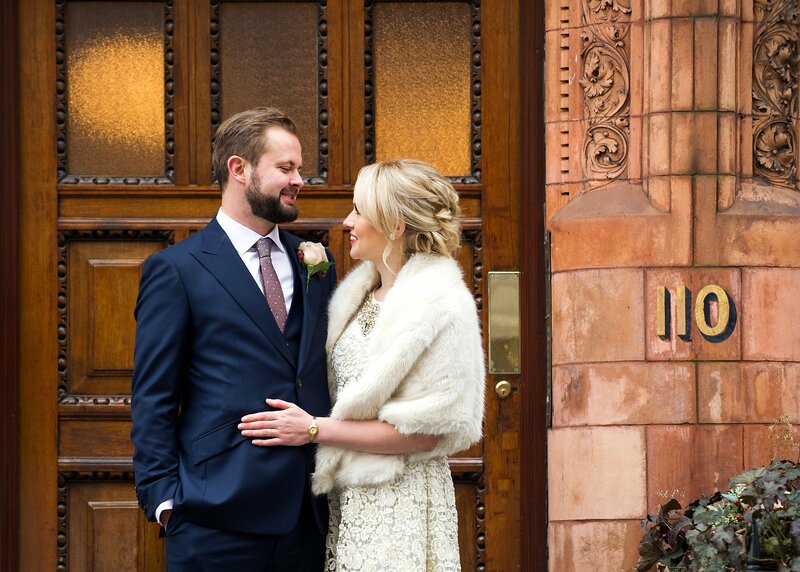 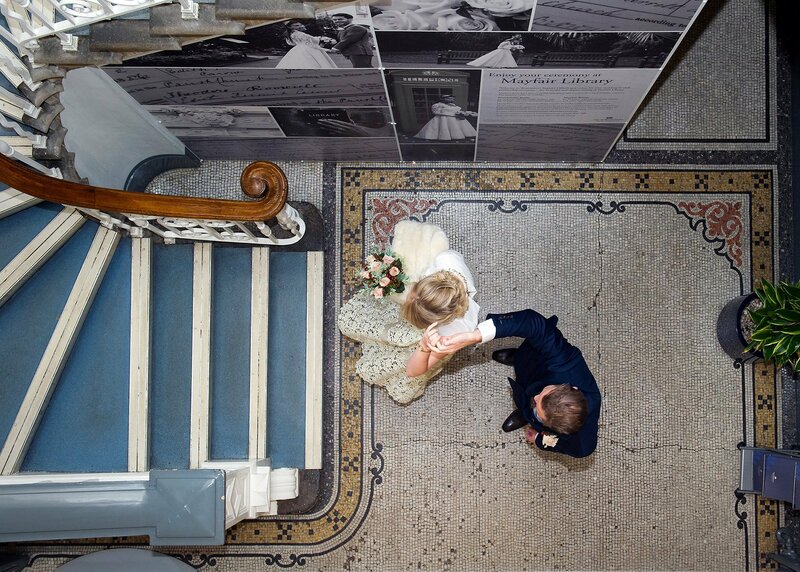 Mayfair Library is now closed for new wedding bookings. 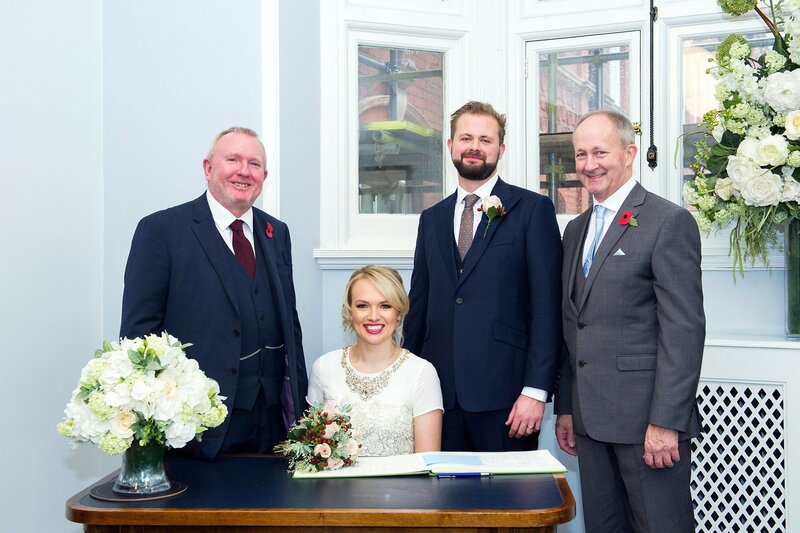 Westminster Register Office has moved back to the newly refurbished Old Marylebone Town Hall. 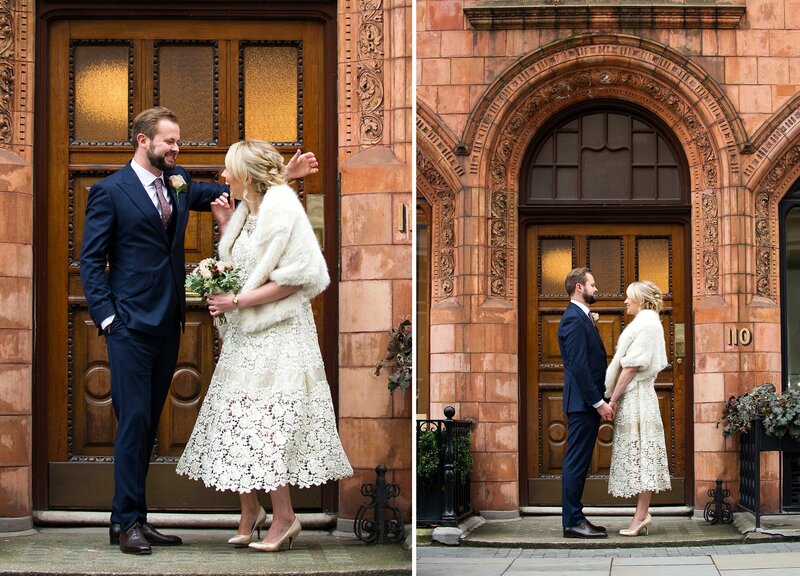 For more details please have a look at my Old Marylebone Town Hall page here.